In recent years, a number of Internet preschool sites have sprung up that feature a variety of games, activities and other learning tools for young children. These sites can be exceptionally useful for parents who want to give their preschooler a jump start on the learning process before they begin the formal education process in kindergarten; however, it can be challenging to find the right online preschool for each child’s unique learning style and educational needs. 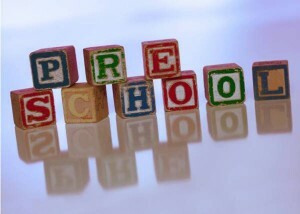 Here are some tips that may prove useful in evaluating the preschool programs available on the Internet. The best preschool sites offer an integrated, comprehensive approach to a number of subjects including mathematics, reading readiness, science, music and art. These areas of study are especially important, since they form the basis of much of what children will learn in kindergarten. Additionally, subjects like mathematics and music work together to reinforce the lessons taught in each; this helps preschool children retain more of what they learn and helps them better understand the interrelationships between various fields of endeavor. Preschool math games are especially important, as they provide the foundation for telling time, making change and many other important kindergarten tasks. Each child has his or her own unique learning style. By providing a number of different teaching methods for the same material, online preschool programs can ensure that they meet the needs of as many children as possible while covering the subject matter thoroughly and in detail. For example, the same site may offer preschool reading games that focus on phonetic pronunciation as well as the older “See and Say” method in order to teach children with differing learning styles effectively. Preschool math games may focus on visual or auditory cues in order to communicate the same information; these varied methods of teaching are intended to provide quality education for the widest possible range of learning styles and preferences. Some Internet preschool sites seem tailored more to please the tastes of parents than to appeal to young children. No matter how slick and professional the website may appear, if it does not provide a friendly, welcoming environment for preschoolers, it will not be effective in its task. Parents should look for bright, inviting colors and simple interfaces with characters and tasks that are designed and geared toward the tastes of preschool children. Additionally, preschool reading games should progress from the beginner level to more difficult intermediate and advanced tasks so that children can constantly push themselves to go further and learn more. By investing in a well-designed online preschool program for their children, parents can help them learn valuable skills for future studies. This can provide a solid basis for academic success now and for years to come. Thanks Jessica – these are some good tips for evaluating “online preschools.” I know about ABC Mouse, are there any other programs you recommend?